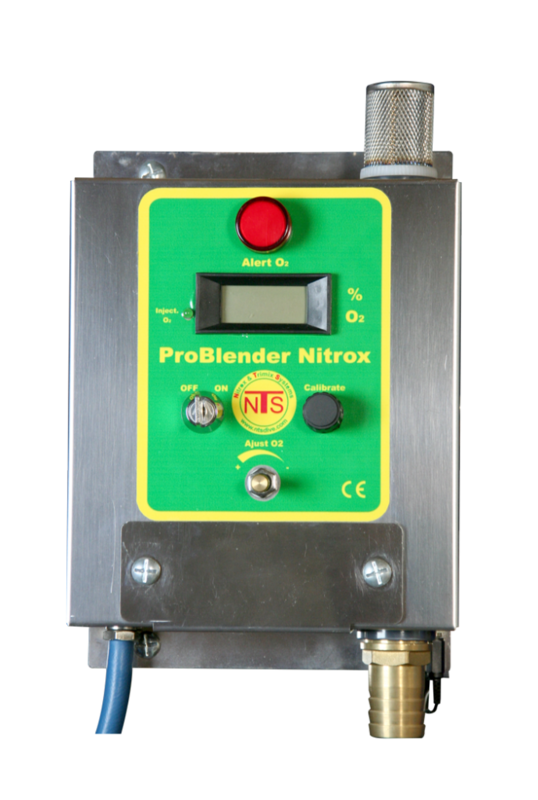 The best solution to blend Nitrox while emptying B50 safety. 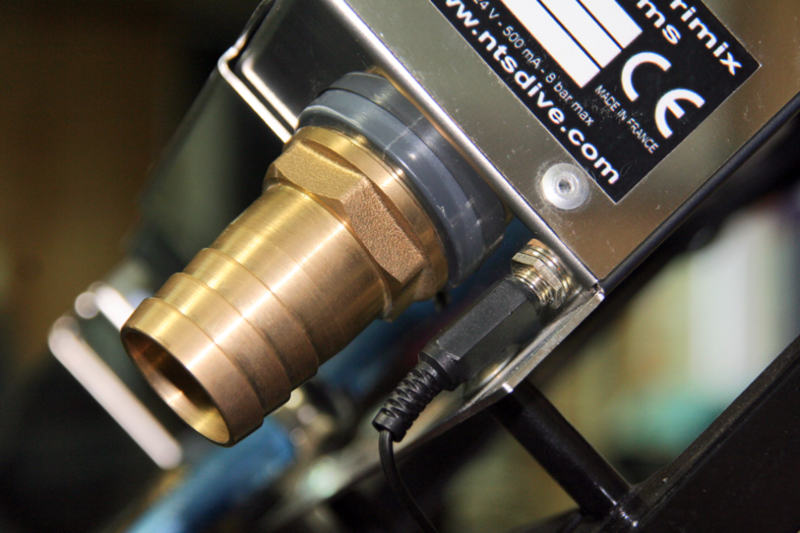 Allows to blend any Nitrox up to 40 % of O2. 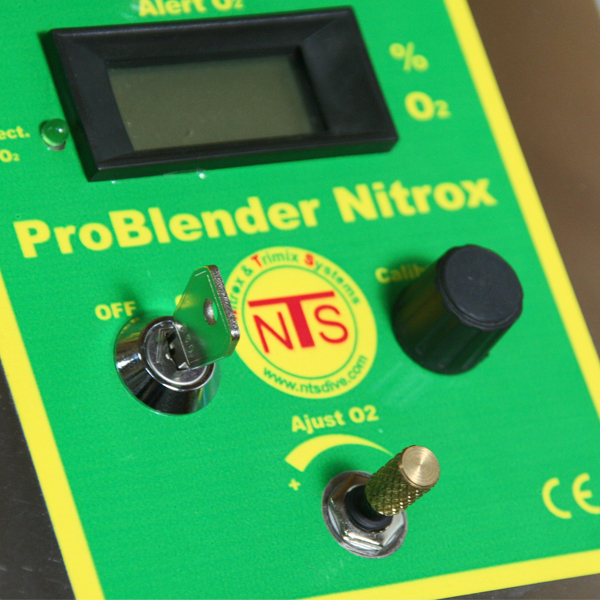 The technique consists in mixing the Nitrox before passing it through the compressor. It is for this reason that we can not exceed 40 % of O2. Allows the manufacturing of all nitrox (max 40% O2). Nitrox’ mix directly usable after inflating. As the mixture is made in atmospheric pressure, there is no risk to manipulate oxygen. It is possible to empty completely gas tank. 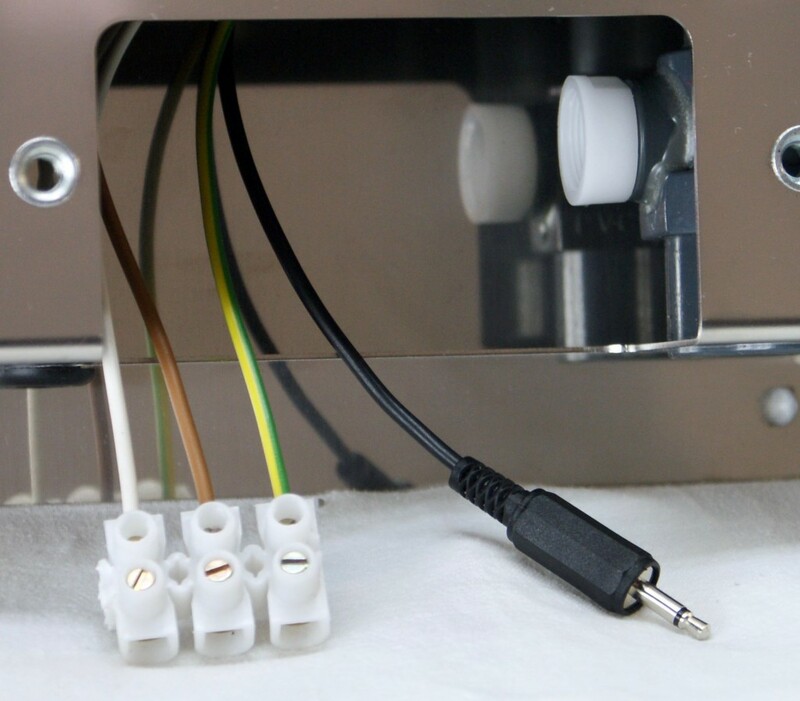 The system is composed of a stainless steel housing containing a blender, an integrated oxygen analyzer and an electronic of control allowing to safety the system. The housing give a professional touch and prevents any deterioration of the system. The injection of gas is made through a regulator put on the oxygen cylinder. A regulation valve allows to refine the regulation of oxygen injection. 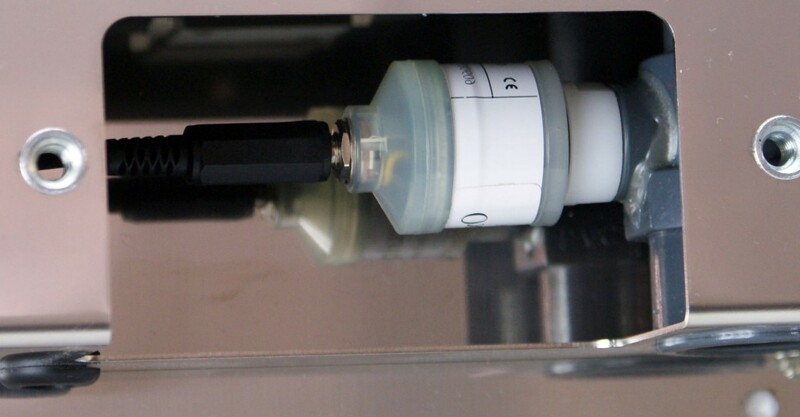 An electro-valve allows to cut the oxygen supply coming from the bottle. The control panel allows to measure in real time the mixture rate of oxygen. The result of the analysis is show on a big screen. In case of maximal oxygen rate over passing the system cuts automatically the oxygen supply and an emergency light is switched on. The system will be supplied again when the oxygen rate will pass down 40 %. An input signal is allowed to take in consideration the compressor state (on or off). So in case of switching off the compressor, the oxygen supply is switched off. A key on the panel control allows to block the system to avoid the accidental injection of oxygen or an inconvenient use of the system. It is always possible to fill with air.